Nursery school teacher Manojini Mendis wants her two children — a 3-year-old daughter and 9-year-old son — to have a better home than the rented room in which they currently live with financial help from her parents. She believes the poor living conditions are almost too much to bear for two children whose father is physically disabled and living apart from the family. So Manojini scraped together enough money to buy a small plot of land and began building a foundation for a small but sturdy one-room house for her family. Unfortunately, she was unable to do more than complete the foundation. But The Fuller Center for Housing of Sri Lanka has stepped in to help complete the home, a project that will begin as soon as funds are available. The Fuller Center of Sri Lanka recently completed two other projects. One was another project to help a family complete construction of a home in Kaluthara for a couple and their young child. The other was a renovation project for a family of four in Moratuwa in which The Fuller Center helped the family plaster walls and repaired doors and windows. The Fuller Center for Housing of Sri Lanka is now poised to do much more as it prepares for its first Global Builders teams to visit the nation in March and April. To learn more about these trips or to join one, click here. 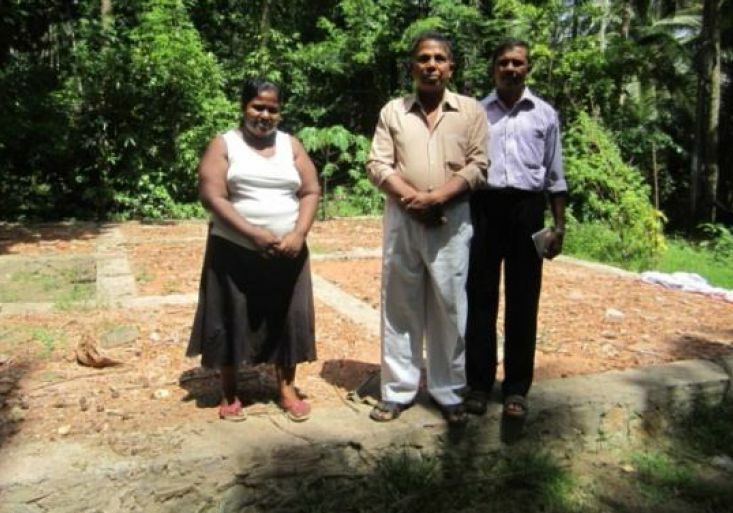 Contribute to The Fuller Center for Housing of Sri Lanka.